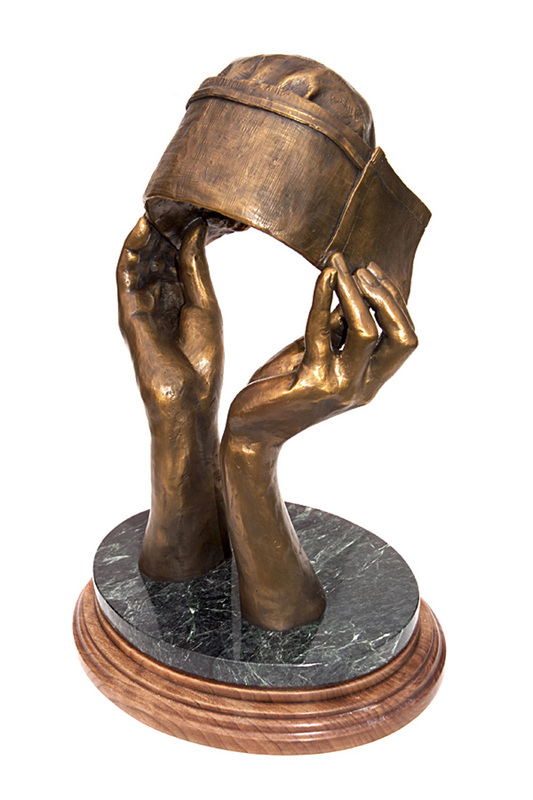 Good Samaritan Hospital in Dayton ,Ohio , asked me to create a bronze to place in the lobby of their newly completed University of Nursing. 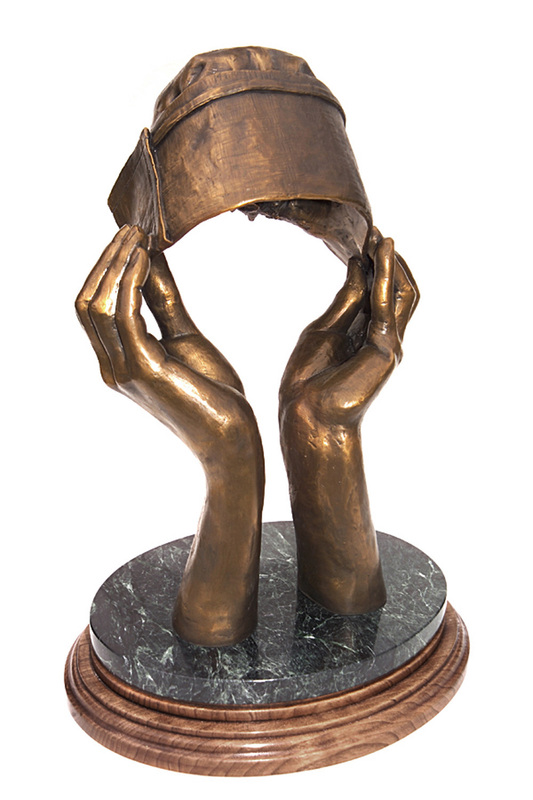 I designed this sculpture of life sized female hands holding the school’s original nurse’s cap. Although these caps are no longer worn by professional nurses, they were at one time cherished as an important symbol of the school from which they graduated.